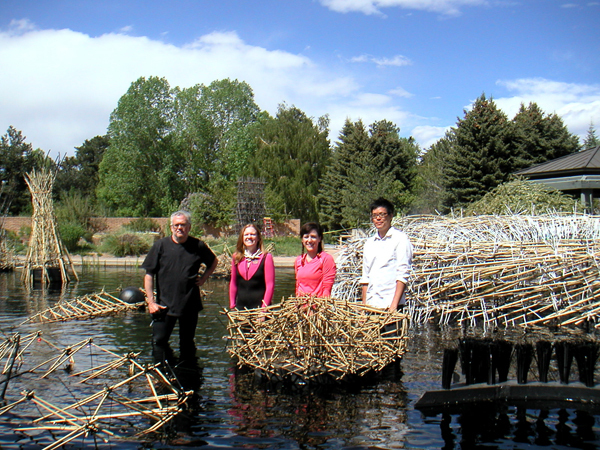 Working with Stephen Talasnik to set up his Floating World Bamboo installation in Monet Pond. Part of my role was to attach the white cable ties, they move in the wind looking similar to haiku wishes tied to trees in Japanese gardens. The team did a fun time lapse video of the water flooding back into the pond which you can see on this link. 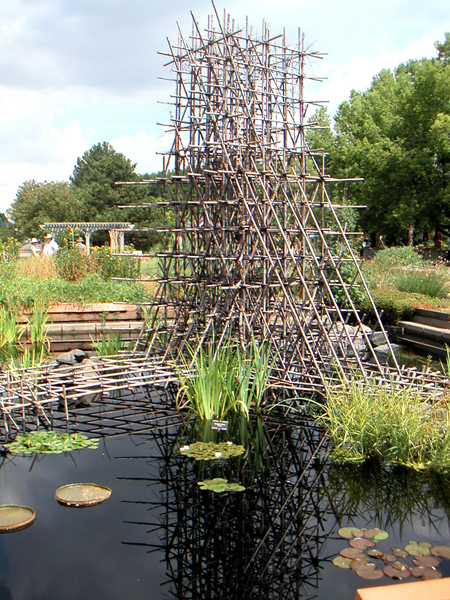 This tower of black bamboo adds a bit of the New York moment to our western plains. 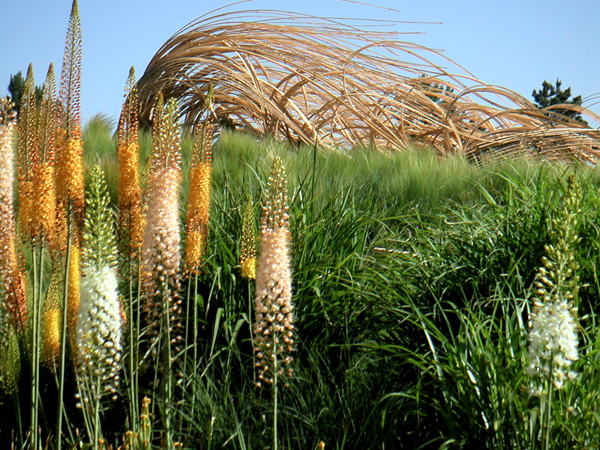 It was really fun to help build this and to watch it grow in the gardens. 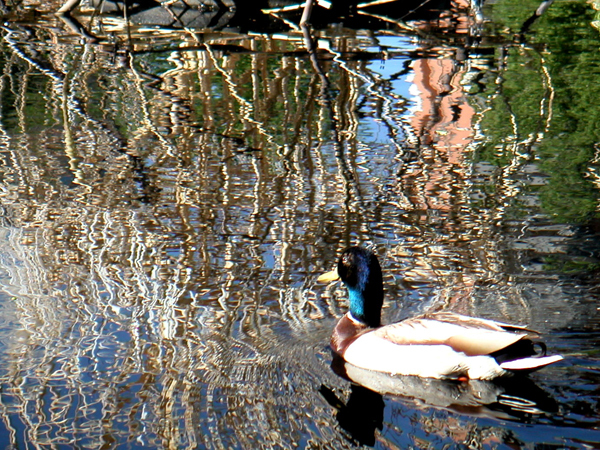 Fun to try to capture the spirits, reflections, and just to contemplate the changing patterns of the ripples in the water. A bit of Wabi Sabi in the gardens. 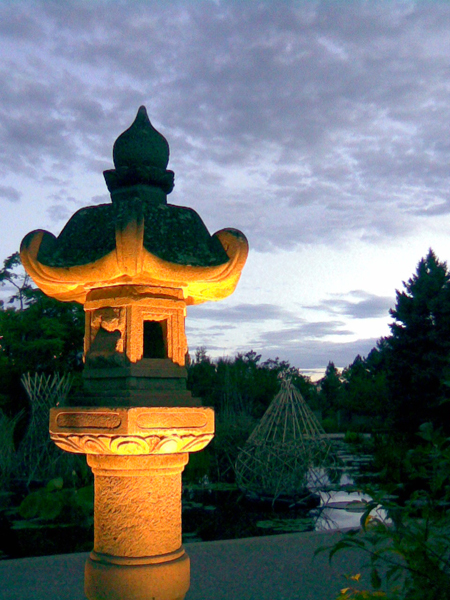 The opening of the expanded Sho-Fu-En Japanese garden added a new area to view the floating sculptures. 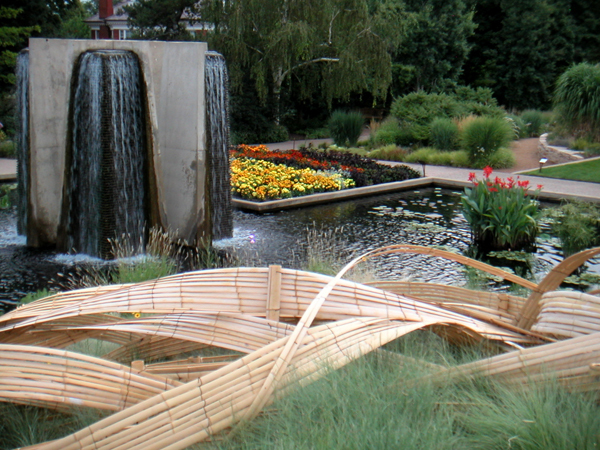 Tetsunori Kawana also created green bamboo sculptures that aged to a golden patina. The sculptures engaged all five senses: Sight, Smell, Sound, Taste, and Touch. When the 5 senses are united with the 5 elements (Earth, Wind, Fire, Water, Sky) there is harmony. 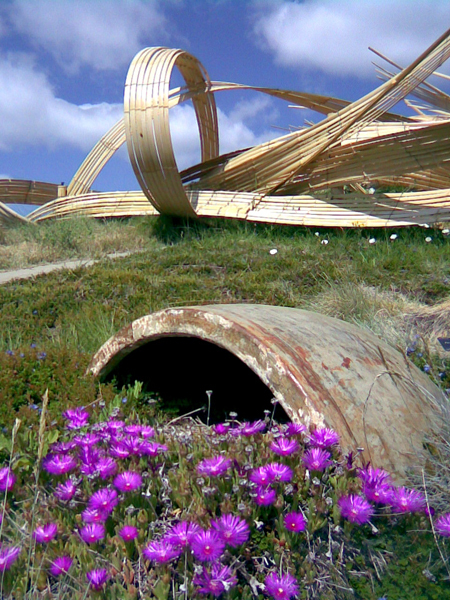 These sculptures changed each time they were viewed. It was fun to experience and to photograph. 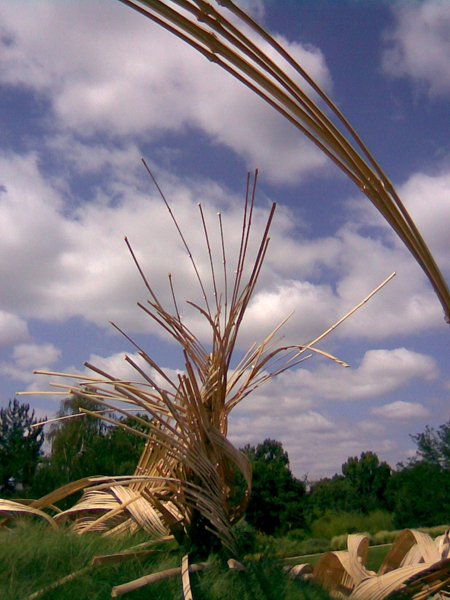 Kizuna means bonds between People, Art and Plants. It was great to give tours and hear people’s reactions. I appreciated working with the other 80 plus volunteers which helped install, the artists with their visions, the staff/volunteers who supported the exhibit, the horticulturists/volunteers for the gorgeous plantings, and the public for visiting. 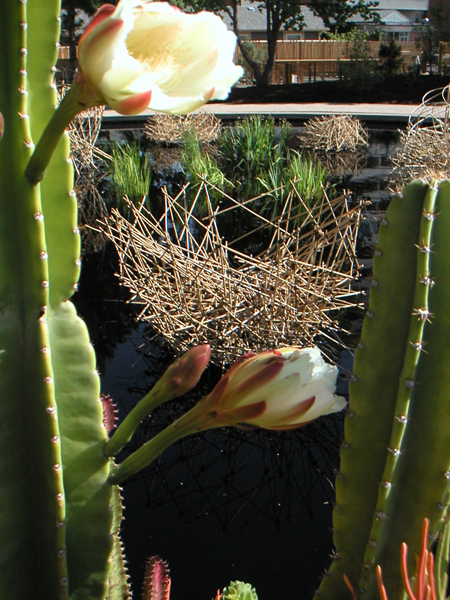 This entry was posted in Art, Cactus, Colorado, Gardens. Bookmark the permalink.